New Cushions for Sofa - Sew What Sew Anything - Sew What? Sew Anything! 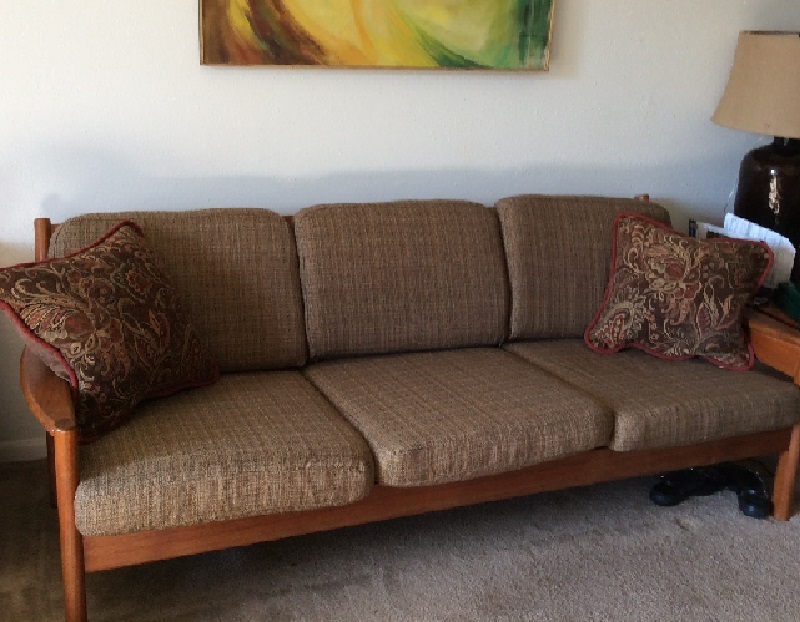 It was new cushions for sofa on this simple upholstery project. The wood elements of the sofa were the inspiration for the fabric selection. This old sofa has a brand new life for this client’s family room.